Graduate writing fellows should have some knowledge of different cultures and linguistic perspectives to prepare themselves for working with international writers. With a large percentage of ESL clients visiting our writing center, fellows should be prepared for a heterogeneous group. They need to recognize that students from each national group share a set of writing difficulties which are closely related to their linguistic and cultural backgrounds. The information provided enhances the knowledge of Graduate Writing Center fellows. The research will help equip them with information to better serve international ESL students. These students face challenges when operating in a different cultural and educational system and writing essays in English—a language other than their native tongue. 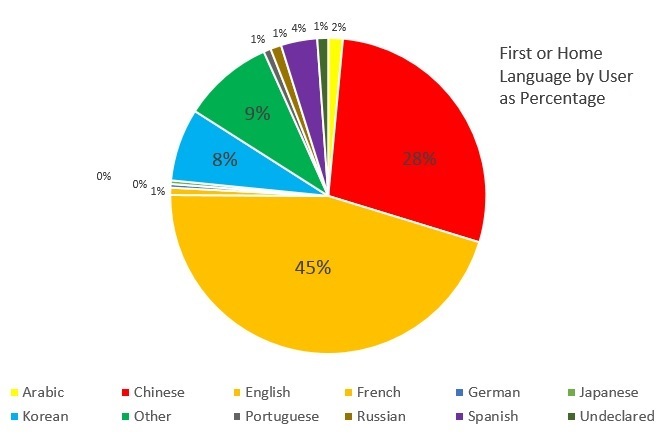 Therefore, fellows must be aware that ESL students writing can be affected by the rhetorical styles of their first languages. Disclaimer: In order to understand and better help international ESL students, writing center fellows can use this researched information when approaching each writing session. The researched information will include differences between countries, including but not limited to culture, language, and education. These guidelines are intended to help fellows gain a better understanding of the writing challenges ESL students encounter when writing in English; they are by no means exhaustive. Banno, Eri. Shokyū Nihongo "genki" =: Genki : an Integrated Course in Elementary Japanese. Tōkyō: The Japan Times, 2011. Print. Bascope, Judith. "Hispanic Culture in South America." Personal Interview. 15 Apr. 2014. Cortez, Judy. "Culture and Schooling in South America." Personal Interview. 16 Apr. 2014. Dickerson, Miyoko. "Japanese Culture." Personal Interview. 10 Apr. 2014. Fischer, Boris. "German Culture." E-mail interview. 15 Apr. 2014. Goehner, Duane, and Yale Richmond. "Russian / American Cultural Contrasts." Russian / American Cultural Contrasts. N.p., 2001. Web. 08 Aug. 2014. http://www.goehner.com/russinfo.htm. Mihalicek, Vedrana, and Christin Wilson. Language Files: Materials for an Introduction to Language and Linguistics. Columbus: Ohio State UP, 2011. Print. Moujtahid, B. “Influence of Cultural and Linguistic Backgrounds on the Writing of Arabic and Japanese Students.” Writing Lab Newsletter 21.3 (Nov. 1996) 1-11. Rohm, Fredric W., Jr. "American and Arab Cultural Lenses." Inner Resources for Leaders (n.d.): 1+. Web. Skillguru. 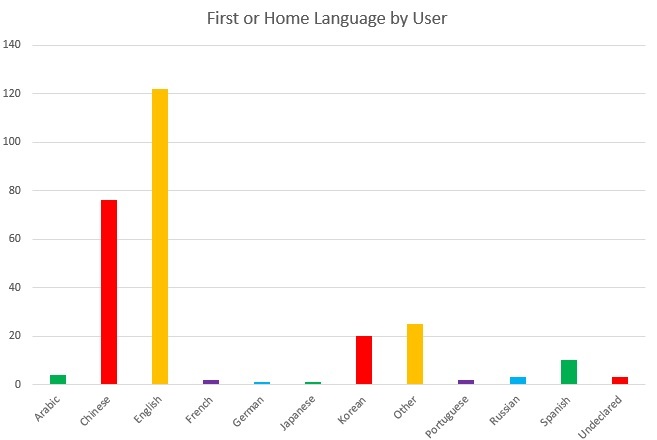 Languages of the World. Digital image. Skillguru. N.p., 2010. Web. 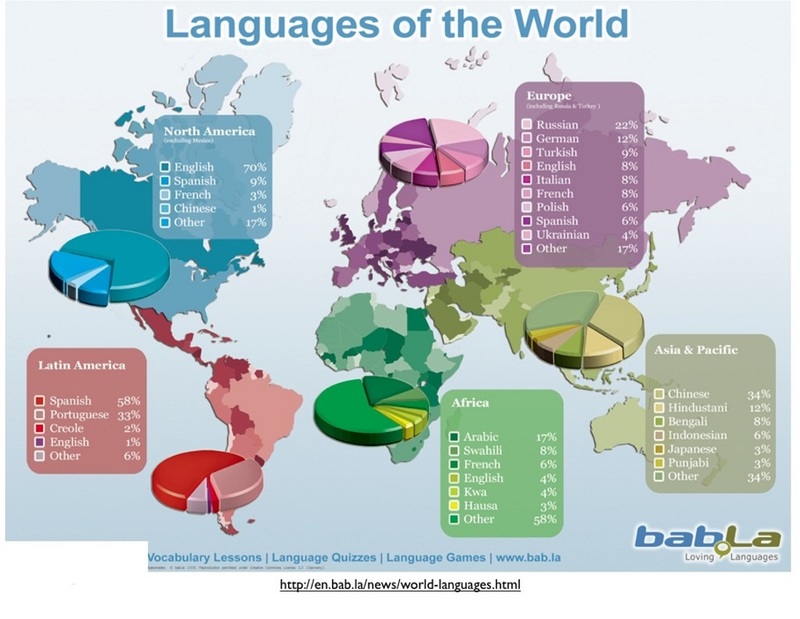 08 Aug. 2014. http://www.skillguru.net/images/language_map_800w.jpg. Swan, Michael and Bernard Smith. Learner English: A Teacher's Guide to Interference and Other Problems. Cambridge: Cambridge University Press, 2001. Print. Zusin, Sasha. "Israeli and Russian Learning Styles." E-mail interview. 05 Aug. 2014. For questions or comments, contact Nabila Hijazi at: nabila.hijazi@gmail.com.